Today I am tasting a new different thing. 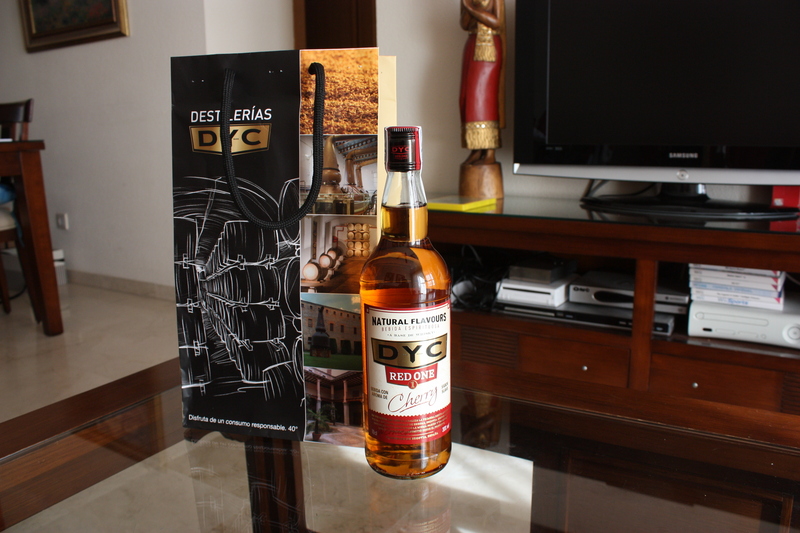 It is a cherry infused whisky with a twist: DYC is using Spanish blended whisky to create this liquor. The first of its kind on the spanish market. Against all the advices I decided to taste DYC Red One straight, although the brand really recommends it as a mixing drink. DYC has created a cherry infused Spanish blended whisky targeting a youngsters market. If you like cherry-like drinks this liquor is really smooth and pleasant. Nose (81): more than average. cherry,honey, floral. Palate (79): light, smooth. cherry, vanilla, citrus, honey, bubblegum. Finish (75): very short. cherry, citrus. So based on other whiskies I have already tasted I rate this DYC Red One with 78 points over 100. Don’t be fooled by the tasting score. 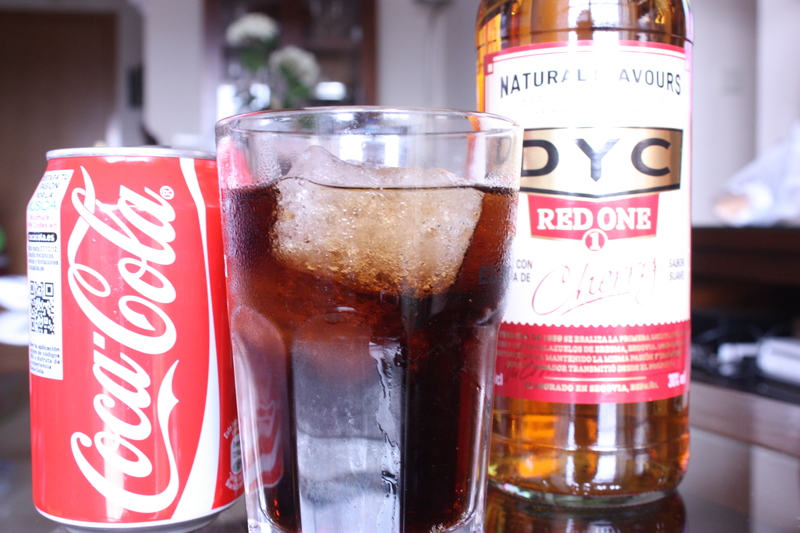 This kind of beverages is best enjoyed with mixers. So how this is expected to be drunk? Like we do it! This is Spain!